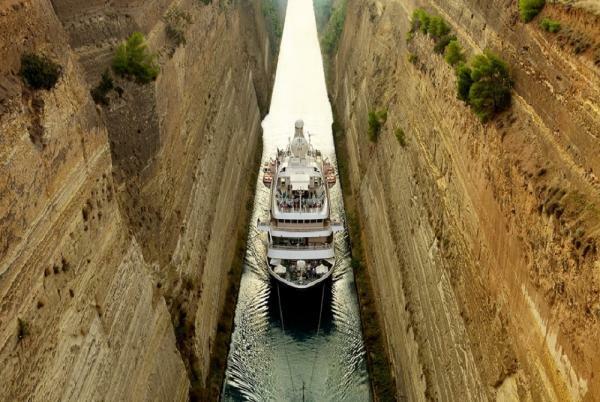 Cross the Corinth Canal, a narrow stretch of water set into the limestone rock of the Peloponnese. Discover the still waters of the Bay of Kotor, dotted with churches and fortresses, create a magical atmosphere. 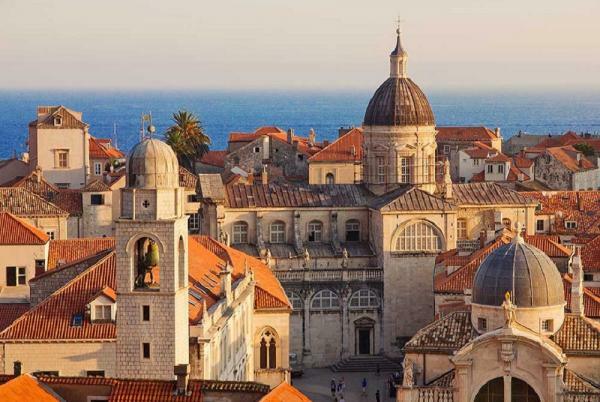 Enjoy Dubrovnik, located in Croatia's deep south, the Pearl of the Adriatic is a true gem. Explore Hvar, the old town nestled deep in the bay holds remarkable monuments that bear witness to its rich history. 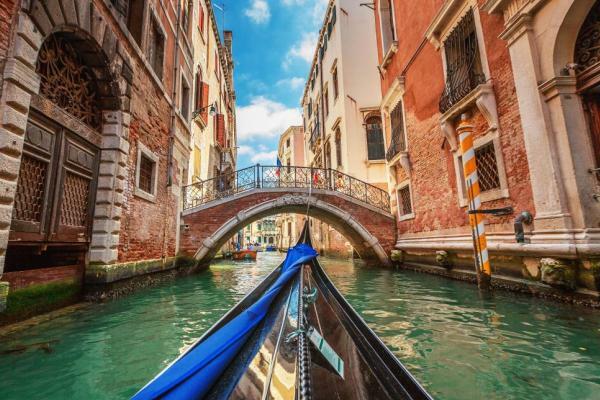 End your journey in Venice, the flamboyant City of the Doges. The Greek capital city is located on the edge of the Saronic Gulf, in the east of the country. It bears a plural name in reference to the first villages that surround the Acropolis. Be enchanted by the rocky plateau presided by its monuments listed as UNESCO World Heritage. In the city below, you can visit some of the liveliest districts in Athens: Plaka, with its maze of colourful streets, and where, in the evenings the drifting aroma of moussaka and garlic prawns tickle your taste buds. Don’t miss anything of the city’s cultural past. Pay a visit to the National Archaeological museum, or the Cycladic Art Museum. This unusual gem belonging to the Saronic islands is located to the east of the Peloponnese. There are no cars here. Named after the island, the harbor town is layered up the slopes of a mountainous bay. You may be surprised to see beautiful stone mansions. These are traditional here, as are the multi-coloured caïques along the quays. Further along the shore, within the walls of the “Monastery of the Assumption of the Virgin Mary” is a museum of Byzantine art. Collections from Athens National History Museum are exhibited in the elegant villa Koundouriotis. The long walls of the fortified city of Kotor unfurl before your eyes as you admire this medieval construction enclosed between the sea and the rugged cliffs from the decks of your ship. The still, deep waters of the bay plus the clouds of mist floating here and there create a surreal and magical atmosphere. Small islands with churches and fortresses built on them remind us that a proud maritime people have lived here for centuries, in this bay that forms a perfect natural harbor, used by sailors since ancient times. 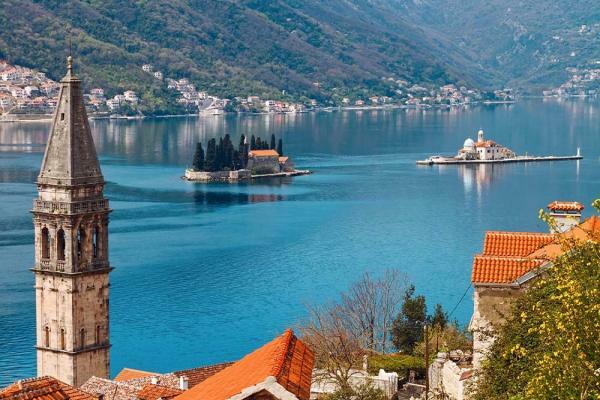 At the crossroads of Latin and Byzantine cultures, have the pleasure of observing the natural treasures of Montenegro during an unforgettable journey. 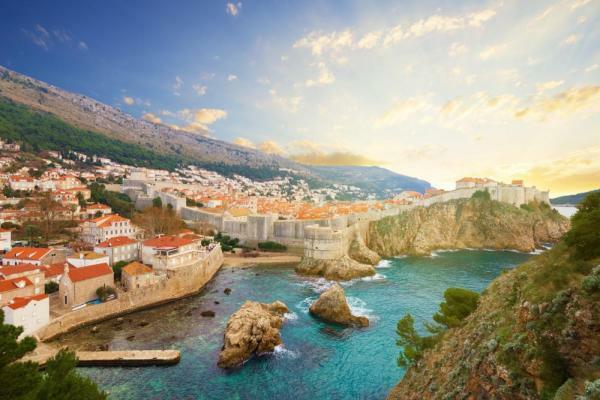 Emblem of the Dalmatian coast, Dubrovnik is magnificently positioned on a rocky spur. History is sovereign here, in this ancient city, now a listed UNESCO World Heritage site. Be surprised by the proportions of La Placa, the central drag through the city. The sheer width of it can be explained by the fact that it straddles a former lagoon. The elegant houses along La Placa are built in the legendary travertine stone. At Pile gate, be greeted by the statue of the patron saint of Dubrovnik, and you can admire the coastline as you walk along the ramparts. But what’s inside Fort Saint John, adjoining the outer walls? A maritime museum and an aquarium featuring rare fish from the Adriatic. This splendid, pristine island is located off the Pelješac peninsula. Untouched nature awaits you in the protected forests of Mljet National Park. A hike up the hills brings you to the bays linked to two salt water lakes. On the larges lake, Veliko Jezero, you can see an old Benedictine monastery. This harbor town has a very special location, presiding on a spur on the north-eastern coast of the island of Korçula. The ramparts in its medieval district provide perfect vantage points over the Pelješac peninsula. To get there, you can take the monumental staircase in the Revelin Tower. Another way is to climb the steps in the shade of palm trees from the MorskaVrata (Marine portal). As you make your way through the little streets, you’ll see the bell-tower of Saint-Mark's cathedral rise above you. This landmark helps you locate the house where Marco Polo was born. The island also has some of its own famous wines like the red Plavac and the white Posip. Off the coast of Split, Hvar surprises you with its traditions that haven’t changed since Antiquity. The country’s oldest town, Stari Grad, is here on this Dalmatian Island. The town nestles by a cove on the north-west coast, surrounded by dry stone wall structures on the Stari Grad plains. These have been designated a UNESCO World Heritage site because they were built in the time of the Ancient Greeks. From these parcels of land come wines and olive oil manufactured manually. In the upper part of town, you will discover hams and cheeses made by local producers. The picturesque village of Vrisnik is a good place to try some of local produce. This elegant Istrian seaside location evokes an atmosphere of olden day holiday charm. The Opatija coastline is scattered with castels and layered gardens on hillsides which you can admire during a walk on the Lungomare. On this coastal path, famous for its panoramic terraces, and built in the early 20th century, you can find the Maiden with a seagull, a graceful statue embodying life on the water’s edge. Further along, the shoreline, notice the Saint-James Abbey which gives its name to the town “opatija”, meaning “abbey” in Croatian. Proud and eternal, Venice has reigned on its lagoon ever since the 6th century. You may think you know this city before even setting foot here. Fall in love with the charm of the innumerable treasures of the Serenissima: Saint Mark's square, the basilica, Doges palace, the Grand Canal and the gondolas. Yet, secret Venice is also waiting for you to explore its little interlacing streets and canals, to ramble through its squares and to push open the doors of its churches. The city’s extraordinary heritage shouldn’t stop you from enjoying a glass of Spritz and a few tramezzini.